In the 'better late than never' category comes New Scientist's review of TransVision 2007. The article, titled "Death special: The plan for eternal life," was written by my friend Danielle Egan who I met at Yale during TransVision 2003. They don't look very threatening, though perhaps not very diverse either. Most WTA members are white, middle-aged men, but WTA secretary and former Buddhist monk James Hughes (see "Essay: The end of death?") hopes to attract a wider range of people by highlighting the organisation's democratic aims. The WTA insists that any new technology is used in a fair and ethical way, he says, with global treaties set up to regulate progress. Some transhumanists campaign for equal access to healthcare and for safeguards on new technology. 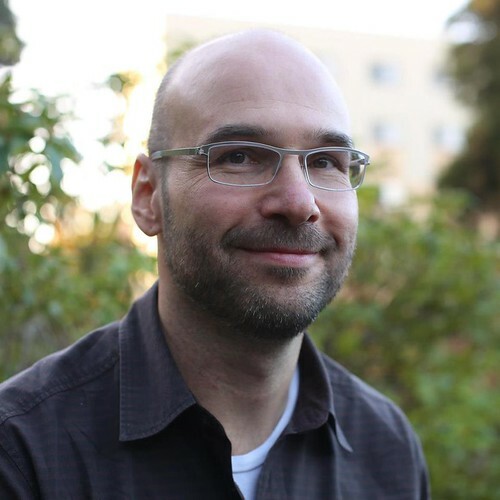 AI theorist Eliezer Yudkowsky also believes the movement is driven by an ethical imperative. He sees creating a superhuman AI as humanity's best chance of solving its problems: "Saying AI will save the world or cure cancer sounds better than saying 'I don't know what's going to happen'." Yudkowsky thinks it is crucial to create a "friendly" super-intelligence before someone creates a malevolent one, purposefully or otherwise. "Sooner or later someone is going to create these technologies," he says. "If a self-improving AI is thrown together in a slapdash fashion, we could be in for big trouble." 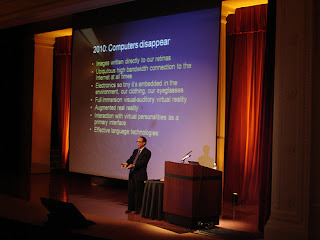 The theme of saving humanity continues with presentations on cyborgs, cryonics and raising baby AIs in the virtual world of Second Life, as well as surveillance tactics for weeding out techno-terrorists and a suggested solution for the population explosion: uploading 10 million people onto a 50-cent computer chip. More immediate issues facing humanity, such as poverty, pollution and the devastation of war, tend to get ignored. Danielle is a supporter (she's written about cryonics in the past), and considering the publication I think she did a decent job conveying the nature of the conference.